WashGuys' web team recently spoke at Pepperdine University on Internet Privacy. This issue has elevated itself as the United States battles terrorism. The Domestic Security Enhancement Act (DSEA) was at the heart of the discussion, as faculty and students alike become aware of the implications and opportunities of the new law. Personal Privacy, Internet Privacy and National Security are all factors when determining what information shall be available and to whom. We must protect our great nation from religious radicals and international terrorists. The Internet and computers hold part of the answer. Our web team are obviously experts on the subject of Internet Protocol and how these new technologies have changed the daily life of the billions of people world wide. As the Internet brings the world and all nations closer together, helping mankind communicate and work toward the future good, we must guarantee that it is not misused by those who would use it to help kill innocent people. We thank our web team for their contribution to the education process, bringing awareness of real live issues which confront all Americans. It is by open education and communication from the experts in the Internet Field that we can all live happier, more productive and free. Our web team often speaks to large groups, colleges and Universities on computer and Internet issues which are the key to the new modern era. 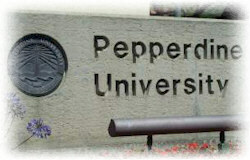 Pepperdine University places nearly 85% of their graduates in fortune 500 companies. Many of these graduates will oversea, important aspects of America's strongest and most well established corporations. These future leaders will have to understand the dynamics of internet security, consumer internet privacy and the importance of protecting our nation's security and safety interests while simultaneously protecting the freedoms that we have fought so hard to achieve. It is by these discussions that students and faculty can understand the impact of The Domestic Security Enhancement Act and it's predecessor the USA Patriot Act. This legislation has a profound impact on both, the privacy of our citizens, and the allowance of information sharing to prevent future attacks by international terrorists, who take pleasure in harming our friends and countrymen.